Virtually every week, I come across people who long for the simple life of yesteryear. But I've learned that one's perspective makes all the difference. Some look back and remember the best of times—an easier pace, closer ties, cleaner movies, and deeper, more honest relationships. Others remember only the worst of times—inconveniences, prejudices, and inefficiencies. When you stop long enough to think objectively, though, you realize that no time is ideal. The times are what they are, and either we learn to flex and thrive or we become rigid and irrelevant. I mention the word flex, which makes some people cringe. Others resist, planting their feet firmly in the status quo. But because God is in control of our times, change is not to be feared or fought. If we truly believe that our times are in God's hand, changes would not be so difficult to accept. Nor would they cause us such anxiety. Everything from modern inventions to global upheavals could be taken in stride because He—our faithful God—is in control. Nothing surprises or threatens Him. Nothing! No president takes the oath of office without God nodding and saying, "That is My will." No advancement in technology or science catches Him off guard. God is sovereign; He is never out-of-date. He is still in touch, always in control, and fully aware. As I've thought about the reality of God's sovereignty, I can't help but ponder His work at Insight for Living Ministries over the past 36 years. If there's ever a context that required flex, our ministry is it. Just imagine the changes in technology we've seen in the past 36 years! However, at the same time, there are some things that we refuse to flex on. Let me give you a couple of thoughts. The foundations set down by people will indeed collapse, but God's foundation will never crumble. Earthquakes may rock our cities, but there will never be a "truthquake." There will never be a day when God will say, "You know, I've been rethinking My Book. . . . Some of those truths I preserved about Jesus, well, I need to have someone rewrite them. Also, a few of the character traits about Me and some of those doctrines in My Book need to be updated." NO! He will never do that! His truth is more solid than a ten-thousand-ton mound of granite. 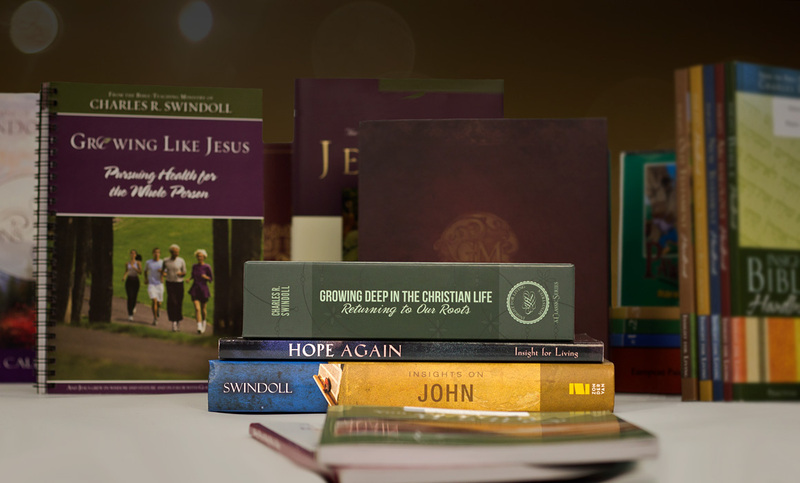 At Insight for Living Ministries, we refuse to flex on the unchanging truths of Scripture. Second, the possibilities that change brings are thrilling. Think of the excitement and efficiency of a missionary in a remote jungle using a palm-sized computer to record spoken syllables and then translating them into a tribe's first written language. Think of the possibilities for the instant transmission of the gospel through the Internet. In the first century, apostles had to travel for days (sometimes weeks) to preach about Christ to a handful of people. Not today. We can post the teaching of God's Word on our Insight for Living Ministries Web site, and folks all over the world can access it at their convenience—instantly. For the last few years, Cynthia and I have focused our attention on laying the groundwork for the future of Insight for Living Ministries, which we base on Matthew 28:19–20: "Make disciples of all the nations. . . . Teach these new disciples to obey all the commands I have given you." We're excited beyond words to begin what we call Vision 195. Our passion is to fulfill the Great Commission in this generation just as Jesus' disciples did in the first century. We will broaden our borders with the message of God's majesty, the authenticity of His Word, and the power of the cross, woven into a tapestry of God's amazing grace, in all 195 countries of our world. 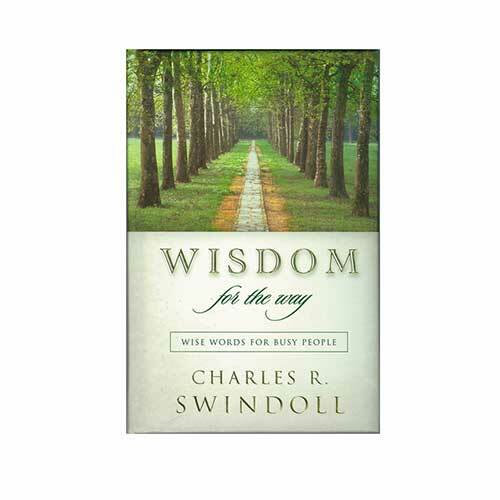 This will be accomplished by modeling the life of Christ and mentoring disciples through the new Charles R. Swindoll Search the Scriptures Training Centers, our daily broadcasts, translations of our broadcasts and published resources, the latest technology, and international pastoral internships. Vision 195 is the mission that God has given us for all generations. The technology of today helps us accomplish tremendous things for Christ. Keeping that in mind, it is our goal to stay open to the need to flex our methods of communication. In all my years of serving God, I've never been more excited about life and ministry! Some things change, for sure. They must—otherwise, we get myopic and become out of touch. But remember . . . no amount of technology or innovations gives us permission to change God's message. That must never happen! God's timeless truths don't flex with the times. His truths remain our sure foundation. They always have been . . . they always will be.